I came back to share my “distressing” tutorial…………. Just like I told you I would. A woman of my word is what I am. So all ONE of you gather round. #1.Choose your paint brush carefully. Which one do I ALWAYS use? You crazy newbies! You don’t have your own favorite brush?! I only chose a “Purdy” just because Thrifty Decor Chic likes to use them. #2. Choose paint color and brand. What do I like to use? Anyone that knows me will tell you that I have ALWAYS been particular about my paint! And for ME……it is ProClassic from Sherwin Williams ALL THE WAY. It’s really hard to nail down that answer. I mean….there was alot of online studying…..testing of all kinds of free samples……even checking out Consumer Reports.…. I chose my #2 only because Miss Mustard Seed uses it. WAS ALWAYS Minwax Dark Walnut. You don’t think I had my own favorite, do you? I chose it only when I saw that Shanty2Chic used it on her DIY Wall Art. I’m a copy cat is what I am. I’m starting to think I may not be the one to really tell you guys how to do this distressed look…. Â Â Â Â Â Â Â Â Â Â Â Â Â Â Â Â Â Â Â Â Â Â Â Â Â Â Â Â Â Â Â Â Â Â Â Â Â Â Â Â Â Â Â Â Â Â Â Â Â Â Â Â Â Â Â Â Â Â Â Â Â Â Â Â Â Â Â Â The one I used…..
Why did I have to call different stores to make sure they had Minwax Paste??? Because apparently, if all of these great “bloghers”Â jumped off a cliff…. This little “follower”, would be jumping right there with them. I didn’t use Minwax paste because I thought of it on my own. I only chose it because Perfectly Imperfect used it so beautifully on her white aged vanity. Does that make me a CREEPER – COPY – CAT – PLAGARISTIC – BLOGGY – GROUPIE? Are these multiple bloggy personalities affecting my choices? It can’t be just me that uses all of these great ideas and then lumps them into one project. For instance,Â you all only use foam rollers and brushes because Justagirl blogher does, don’t you? And everyone is using steel wool like Heather Bullard talked about on MySweetSavannah…..in her how to distress tutorial……..aren’t they? And we all learned our sanding techniques from Kevin and Layla at TheLetteredCottage didn’t we? I used all of those great ideas to get to this……. So…..I don’t think I can say they are mine. At least I can’t tell you for sure which parts of this project were really original and mine. I just found this out last night. Â I bought my sofa set used AND it was 6 years ago. I was FIRST I tell you!!!! Maybe SHE IS MY groupie and she doesn’t even know it! Do you all hear voices? Â Â Â Â Â Â Â Â Â Â Â Â Â Â Â Â Â Â Â Â Â Â Â Â Â Â Â Â Â Â Â Â Â Â Â Â Â Â Â Â Â Â Â Â Â Â Â Â Â Â Â Â Â Â Â Â Â Â Â Â Â Is the room spinning there? Â I think I will leave the tutorials to the pros. And maybe I need to quit getting so involved in so many different bloggers lives. I wouldn’t want all of these multiple personalities to mess with my mind. I’ve got enough to deal with. I mean…. living on a cattle ranch and blogging about it, well….. that is hard enough as it is! I don’t live on a cattle ranch. Pioneer Woman lives on a ranch. And I don’t even have a cool cowgirl graphic…. 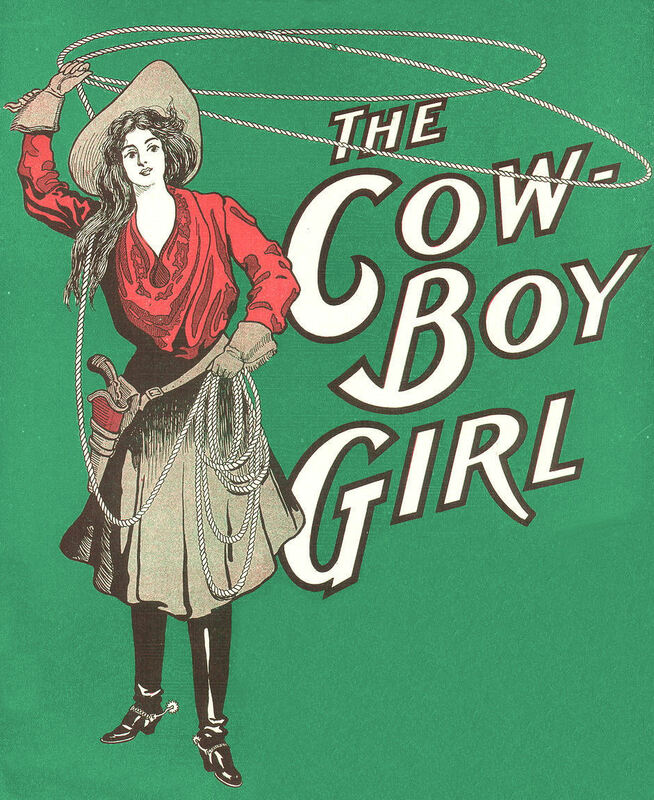 I just pasted this cowgirl vintage graphic from The Graphics Fairy. Those symptoms couldn’t be the condition known as…. Multiple personality, living vicariously, blogaphreniac disorder, could they? You guys aren’t experiencing them too are you? Oh wait…nevermind…I read your blog. ← The pressure is killing me!